I am back! For those of you who worried that I seemed to drop off the face of the earth for a few weeks, I apologize, but this move was a lot more work and took a lot more out of me than I expected. This was our fifteenth move, and after getting through the worst of it, I hope it is our last. I cannot believe when I was younger and we were moving every year and a half that I actually thought moving from house to house was fun! Our earlier moves were also company moves so everything was packed for us which makes a BIG difference! We are mostly settled now with the essential boxes unpacked, and my kitchen is set up and ready. I am trying not to think about the number of boxes piled up in the basement waiting for me to go through them still, but all in good time. The best part of our move is living close to family again. Having my grandkids stop by for breakfast or even a cappuccino before school, and having Sunday dinners together is priceless. We now have some family just down the street from us, and the majority of our family is less than an hour’s drive away. I decided to “revisit” or repost this recipe because it is not only one of my most popular recipes over the past sixteen years but also one of my most controversial. 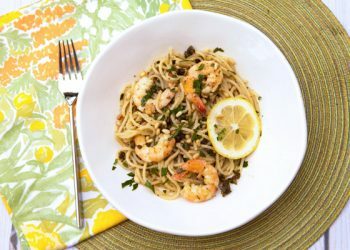 My original post for this recipe, was very brief, had only one photo, and I cannot remove that post because it still gets too many hits every day. I have probably received more negative mail from this one recipe than all the rest of my recipes combined. Who knew that meatballs cooked in sauce could cause such drama! Most of the negative mail I received was because I stated that spaghetti and meatballs are a dish you will not see on a restaurant menu in Italy. 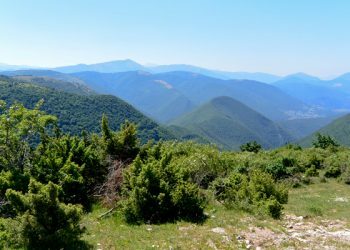 Back in 1987, we moved to Milan, Italy where we lived for eight years, and more recently we have spent half the year in Umbria, Italy for the past ten years. In the fifteen years between these stays, we also traveled to Italy on vacation usually staying for a month or more at a time. During all the years we ate our way across Italy, never have I seen spaghetti and meatballs served in one dish on any decent restaurant menu or even served in an Italian home. The only place I’ve seen spaghetti and meatballs advertised in Italy is on very bad tourist restaurant menus. 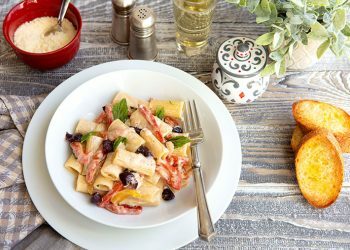 I do not claim to be an expert on Italian cuisine, but I do read everything I can about it, and have spoken to many native-born Italians about this so-called Italian dish. 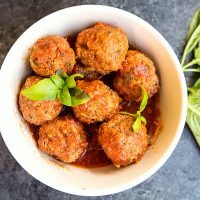 Although meatballs, or polpette, are undoubtedly prepared and enjoyed all across Italy, they are not typically served on a heaping pile of spaghetti swimming in tomato sauce. I still stand by this opinion, and feel that this concoction is one that is more commonly found in North America in Italian restaurants found stateside. Apparently though, I have since learned from some of the many emails I have received over the years, that pasta served with tomato sauce and meatballs on top is traditional in some areas of southern Italy, especially in Puglia, and Sicily. I do apologize for all those that I have offended over the past sixteen years! Now that we have discussed why this recipe causes folks to write to me and call me names (happened again last week), let’s move on. I think it is more important to talk about how to make the best meatballs possible. You can serve them however you want to, I won’t tell! I first tasted my Mother-in-law’s meatballs forty-five years ago, and they remain the best tasting meatballs that I have ever enjoyed. Cooking any type of meat in tomato sauce is what gives tomato sauce its deep, rich flavor so often rhapsodized about in books and movies. 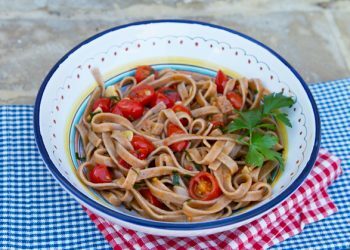 Many families across Italy have their own version of Sunday sauce where tomato sauce is slowly simmered for hours on top of the stove with various cuts of meat added to give the sauce an incredible depth of flavor. In my Mother-in-law’s house, she flavored her sauce with meatballs and often she would add another piece of meat or two such as a small steak or pork chop. This sauce was served on pasta, often rigatoni or penne, and the meatballs were passed around in a bowl to enjoy alongside the pasta. This recipe I am going to share is for meatballs only, but feel free to add an additional piece of meat if you like. Just cut the meat into large pieces, and brown the meat first in olive oil before adding it to the sauce with the meatballs. I have tried so many versions of meatballs cooked in sauce throughout the years that I couldn’t even count them if I wanted to. I always come back to my Mother-in-law’s version because they are simply the best. 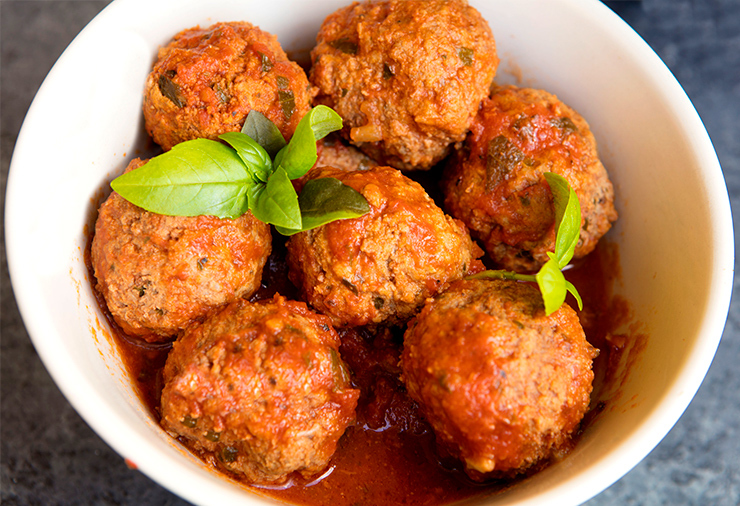 The meatballs are extremely tender and moist, and the sauce is full of flavor. 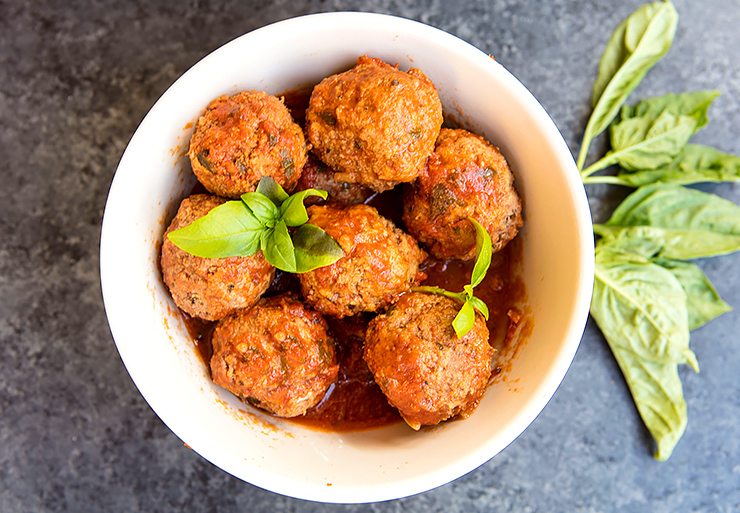 So what makes these meatballs so good and the sauce so full of flavor? 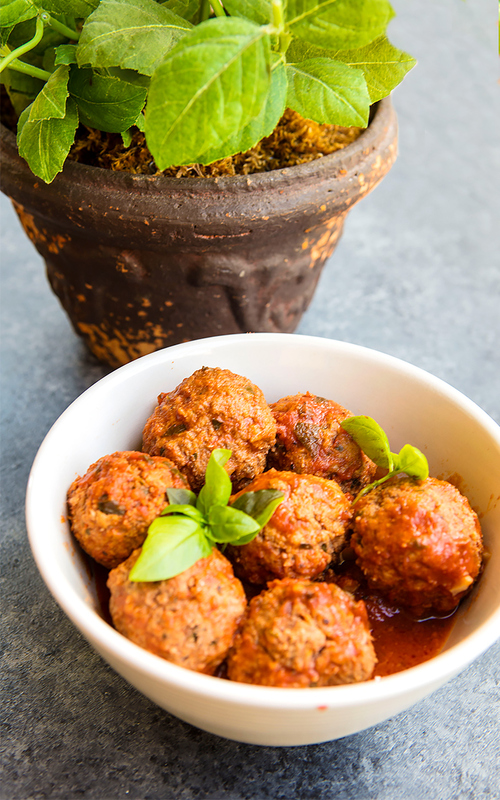 These meatballs are prepared with medium fat ground beef. Do not use lean ground beef as the fat is needed to add flavor to the sauce. The meatballs in this recipe are bound together with soft breadcrumbs moistened with milk. The meatballs are not fried before adding them to the sauce but are dropped raw into the simmering hot sauce. This tip keeps the meatballs very tender and prevents them from getting a tough crust. The sauce is sparingly flavored with spices. Keeping the ingredients simple lets the real flavor of the tomatoes to shine through. Do season well with salt and pepper though! 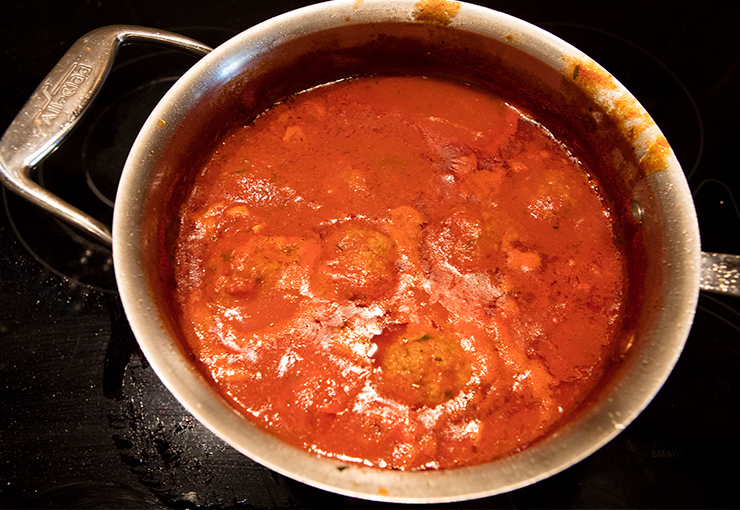 You can prepare this sauce ahead of time, but keep the meatballs in the sauce and rewarm slowly when needed. 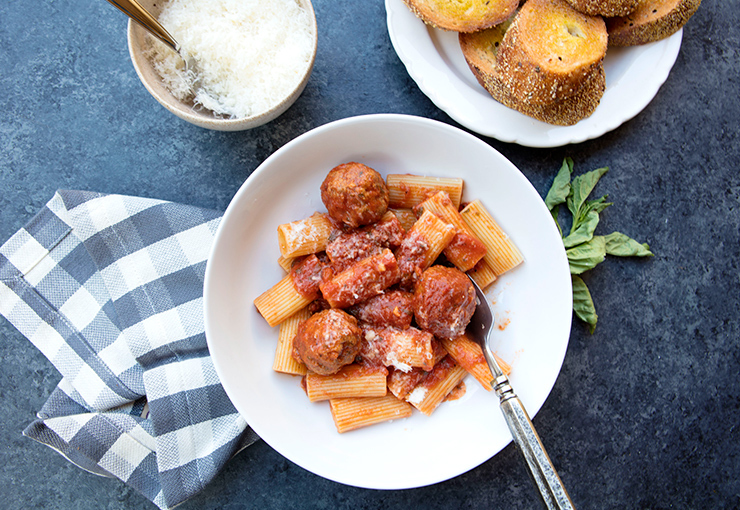 Although you can serve this serve the meatballs on top of spaghetti if you choose, I prefer to toss the sauce with some rigatoni and serve the meatballs on the side. I strongly believe that in your own home, you can do whatever you want in your kitchen. Rules are meant to be broken. Heck, if you like grated Parmesan cheese on your seafood pasta, go for it. I just wouldn’t do so at a restaurant in Italy because you might be schooled by your waiter. Enjoy this recipe created with love by my Mother-in-law for her family for many, many years. My Mother-in-law is now in a nursing home so isn’t cooking anymore, but she would be very proud that so many folks are enjoying her recipe! If you want to serve your sauce and meatballs on top of spaghetti, go for it! I won’t say a thing! My favorite way to serve this sauce and meatballs. 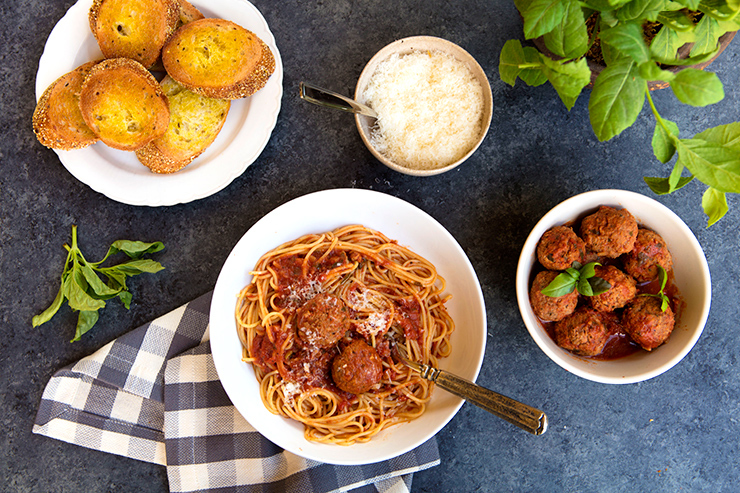 Learn how to make Nonna's tender, moist meatballs. Heat the oil over medium heat, then add the garlic, onion, and saute until tender. Continue to cook for 1 1/2 to 2 hours over very low heat, stirring occasionally, and adding extra water as needed if the sauce becomes too thick. Delicious recipe. I too, pile my meatballs in a bowl and pass around. That is how I grew up and I do not know any different. I never brown my meatballs first, just drop them in boiling sauce. My Mother put pork and sometimes sausage in her sauce. I enjoy your recipes and have made many, many of them. I especially loved the stuffed baby eggplants and the artichoke recipes. As far as people calling you names, I cannot think of anything more rude. Appropriate behavior is almost nonexistant these days. Insults come so easy for many people. Thank God you are not one of them. I am sorry this happened to you and I am glad you addressed it. Marie, I believe when commenting online or through email many folks think they are anomynous so they say things that they would never say to your face. It is okay, after 16 years online, I have grown a thick skin. As for the olive oil, we are lucky in that we harvest our own trees, but I have always been happy with the olive oil from Sur le Table, the 365 brand from Whole Foods, or the President’s olive oil at Trader Joe’s. I have also heard that the Kirkland brand at Costco is quite good. I agree Deb! Mom’s meatballs were the best! Thank you for always keeping the memories alive. Miss her cooking. I do too Angie! Though I make my sauce and meatballs the way Mom taught me, my grandkids always tell me that though mine are really good, they “just are not Nonna’s”. I have some, delicious, homemade tomato sauce and the meatballs look amazing! I will give it a try. This was the same way my Calabrese mother-in-law made meatballs–they were dropped into the sauce! 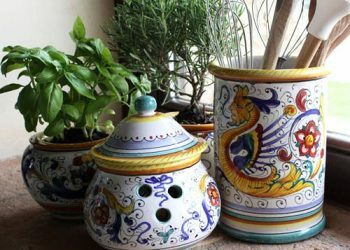 My experience in the south of Italy is that every region, in fact every town, has their own way of making something, and each place would tell you that theirs is the best! It really is a matter of tradition. 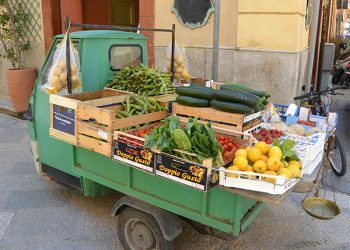 Of course Southern Italy is getting more cosmopolitan and innovative in their cuisine and some older traditions are falling away. That’s life everywhere. When we visited Calabris last summer we found quite a few “haute cuisine” restaurants among the more “home cooking” restaurants. One thing we did notice is that portions are much smaller in Italy, and obesity was rare. Most ate their largest meal mid day and just a little carbs–more fresh vegetables, fish and fruit snd small amounts of meat. My husband’s relathy ives would feed 6 people with a pound of pasta. It was an accompainment, not the meal. Interesting. Haven’t tried your recipe yet, but it looks tempting. What I am shocked by is the omission of garlic added to the meatballs. Also, for years I use to use just ground beef, but after trying lots of meatball recipes, I have found my favorite version has the pre-ground mixed trio of beef, pork and veal. It’s funny that you mention folks thought you were crazy for dropping raw meatballs into the sauce to cook them. Years ago, when I was a teenager, I had a friend who use to start dinner for his parents when he got home from school. I remember one day he had to start making a spaghetti dinner. I watched him open a jar of Ragu and plop a pound of raw ground beef into the sauce. I was mortified! I had never seen anyone do that. Needless to say, I never ate dinner over at his house, LOL. He also loved warm green Kool-Aid, hehehehehe. Different strokes for different folks I suppose. Your recipes, Deborah, are truly amazing. Everything I have made from your website has been delicious. I get loads of accolades about the dishes, and I defer to you. Have you written a cookbook? I know you are so busy living in two countries each year, but I would definitely buy it. Thank you for making me look like a brilliant cook. Thanks Glenys, I am very happy you enjoy my recipes. Am making your recipe as I type and must say, your recipes are numero uno! Delicious as well as authentic! I am addicted to your site and wish you many blessings and prayers! Thank you for your many talents and generous gifts. God bless you and your family! Hi Deborah, how critical is the extended cooking time of the meatballs in the sauce? Is there a function of tenderizing the meatballs, or is it more to season the sauce? What would be the effect of a shorter cooking time? Hannah, the timing is more to flavor the sauce. You can shorten the cooking time, just make sure you leave it in long enough to completely cook the meatballs.